Rendering of development under the Akanda SmartCode, a winner of the 2018 Richard H. Driehaus Form-Based Code Award. 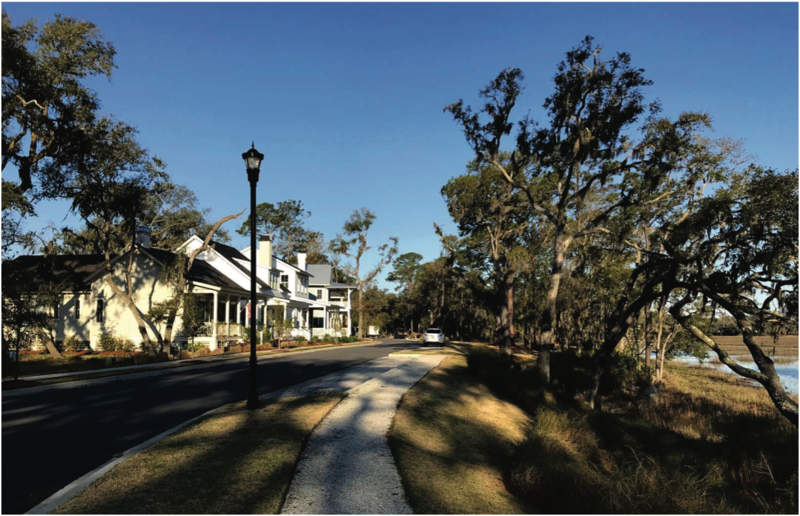 The Form-Based Codes Institute (FBCI) at Smart Growth America is pleased to announce the winners of the tenth annual award for achievement in the writing and implementation of form-based zoning codes: the Akanda SmartCode for the Akanda Commune in Gabon, Africa and the Beaufort Code, for the City of Beaufort, South Carolina. Sometimes invisible to the average person, zoning plays an important role in shaping the way our communities grow and change over time. Form-based codes can be a powerful way for cities to reform their zoning, incorporating smart growth principles to foster mixed-use, walkable communities that preserve their unique look and feel. But not all form-based codes are created equal; the Driehaus Form-based Code Award recognizes exceptional codes that are easy to understand and administer, match the community’s vision, and guide the market to produce predictable, human-scale development. Nominated codes are also assessed for their potential as models for other communities and the inclusion of novel and exemplary features. The Richard H. Driehaus Form-Based Code Award is sponsored by FBCI with the generous support of the Richard H. Driehaus Charitable Lead Trust. Nominated codes are critiqued by a jury of peers. Mary Madden, Chair of FBCI’s 2018 Driehaus Award Jury, announced the winners at an award ceremony during the Congress for the New Urbanism’s 26th Annual Congress in Savannah, GA last week. Receiving the award for the Akanda SmartCode was Opticos Design, the firm that prepared the code. 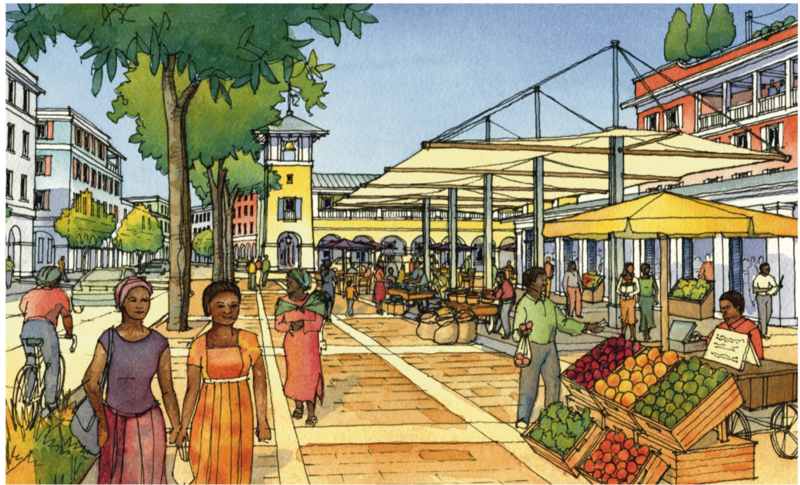 “The Akanda SmartCode offers an exceptional example of a simplified SmartCode for a master planned community in developing countries,” Madden explained. “The extensive and detailed explanations—along with an impressive balance of graphics to text—make the code especially useful as an educational document in different settings around the world.” Read more from Opticos Design about the Akanda SmartCode in Gabon, Africa here and here. Beaufort Mayor Billy Keyserling accepted the award for the city. In announcing the award, Madden shared, “The Beaufort Code provides a high-quality model for a small, historic, design-driven city. 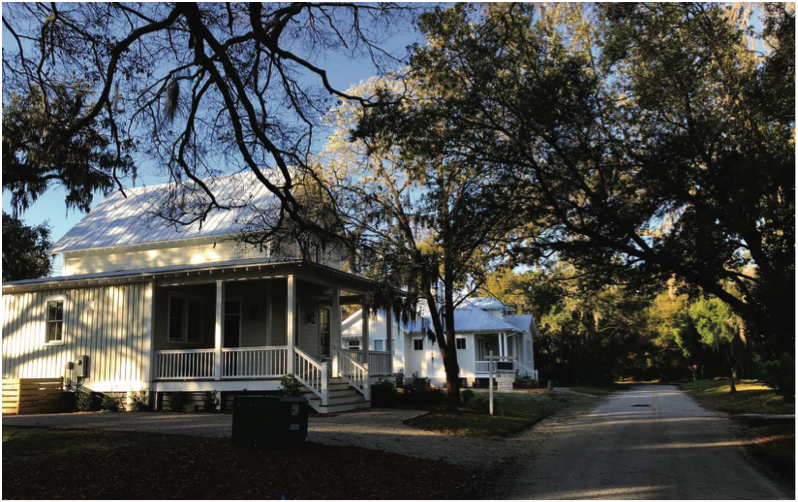 City staff took the lead on completing the code to ensure that the final calibration was carefully tailored to context, incorporating the community’s vision through transparent community engagement.” View the Beaufort Code here, and read more about the development of the code here.